Pioneer Solutions Europe is the European division of Pioneer Chemicals, Asia’s leading manufacturer of solid acrylic resin. 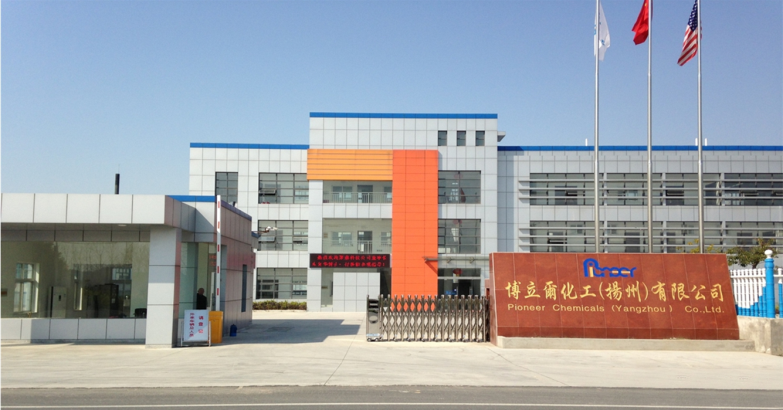 Pioneer Chemicals was founded in 1993 and is headquartered in Shanghai, China, with 3 production sites with a combined capacity of more than 23,000 tons/year. Our products are divided into 8 series and total more than 150 grades covering a wide range of applications, including coating, ink, adhesives, plastics, handcrafts, medical equipment, electronics, lighting appliances, and many others. Pioneer Solutions Europe is keen on providing customers with personalized service. We are based in Antwerp, Belgium, and are able to provide local delivery across Europe. With strong R&D capacity, Pioneer prides itself on innovation and manufacturing flexibility: we design custom tailored formulations specific to our customers’ needs, and are capable of fast production scale up. Please check our products page on this website to view our existing grades, as well as the possible property ranges for custom tailored grades. Pioneer Solutions Europe commits to you a strong partnership bond. We hope to work with our clients not only as a manufacturer, but also as a technical support for your company’s acrylic resin needs. Our technology and products are assisting our customers in improving product performance, cost-effectiveness and in enhancing value creation. We continuously seek business partner opportunities to co-develop and enlarge the acrylic application envelope. Please contact us directly for a partnership opportunity.